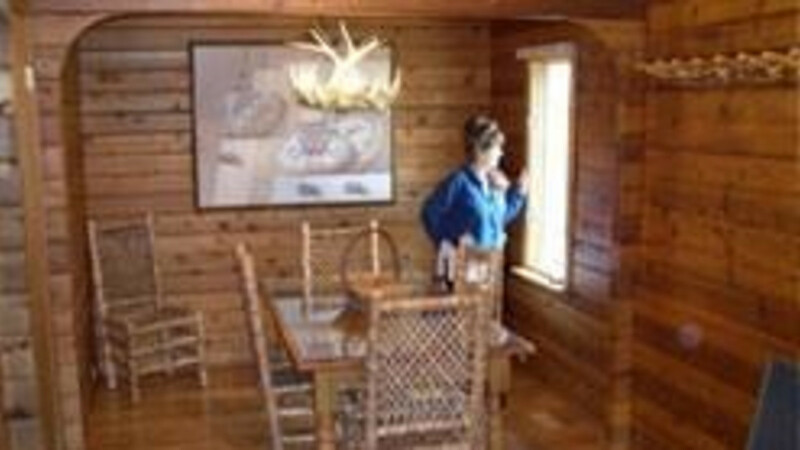 This fully appointed cabin home with trout stream frontage provides casual Western flavor and is an ideal place for a vacation that will please the whole family. It has three bedrooms, two full bathrooms and spacious living room with bay window, full kitchen, dining area, Jacuzzi and barbecue outside on back deck. Kitchen utensils, bed and bath linens are provided. It has a queen size bed in each of two bedrooms, two twin beds in one bedroom and one queen size sofa sleeper in the living room. It has laundry facilities, a private unlisted telephone, a gas barbecue grill, a sound system and a television with VCR. 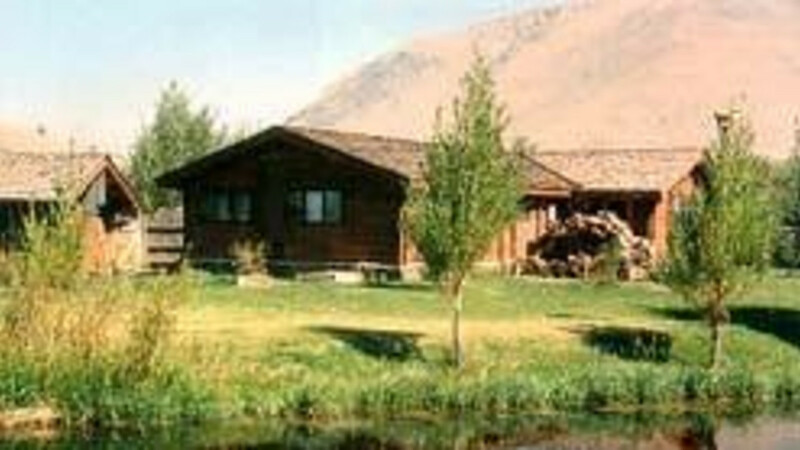 Located in the town of Jackson, it has Flat Creek stream frontage with trout fishing, and landscaped and fenced yard. Children welcome over four years old.